7363 Triad Dress. Sizes, 34 to 52 inch bust measure. Size 40 requires 4 1/4 yards 35-inch material for house dress; 4 ½ yards 35-inch material for sports dress; 4 1/4 yards 39-inch material for afternoon dress. Price of pattern, 45 cents. 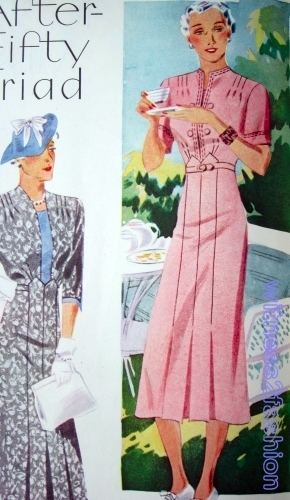 “You cannot be too particular about lines, colors and fabrics – when you are on the after side of fifty. Everything you wear must look as if made to your special order. 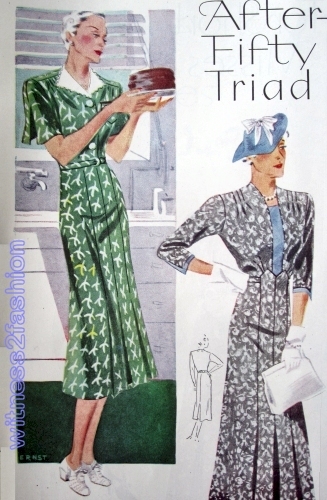 That is why this Triad pattern is a perfect solution for the three new dresses you will undoubtedly need this summer. 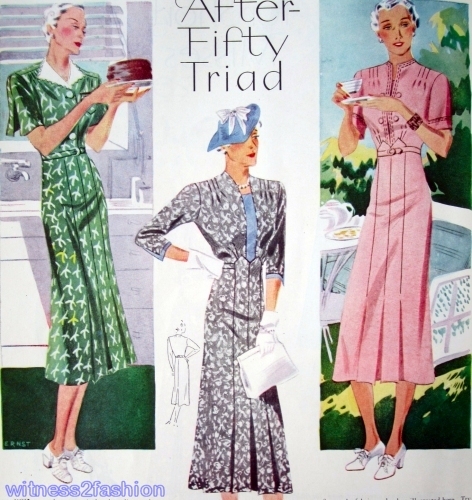 In addition to the Triad Pattern for women “after fifty,” the May, 1937 issue had the usual ads and articles; Mother’s Day was probably the inspiration for the article about Mother/Daughter Hair styling. 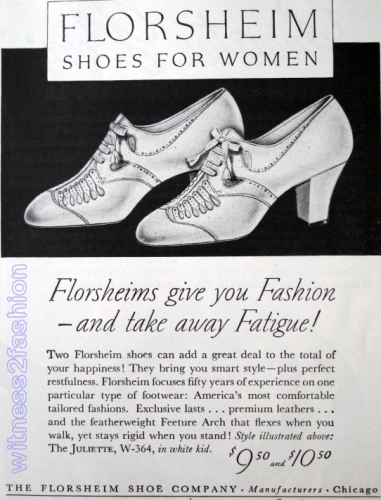 Women’s magazines had a wealth of shoe advertisements, many stressing comfort and good arch support, and aimed at the older woman. These Foot Saver shoes were even more expensive, costing up to $14.75. 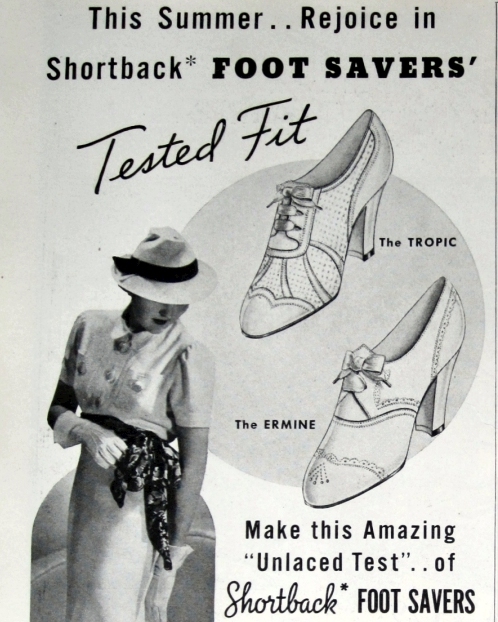 The model looks young, but young women were more likely to choose strappy, white sandal-type shoes than lace-ups. “Are you past forty? It is estimated that 65% at middle age suffer from rectal ailments. 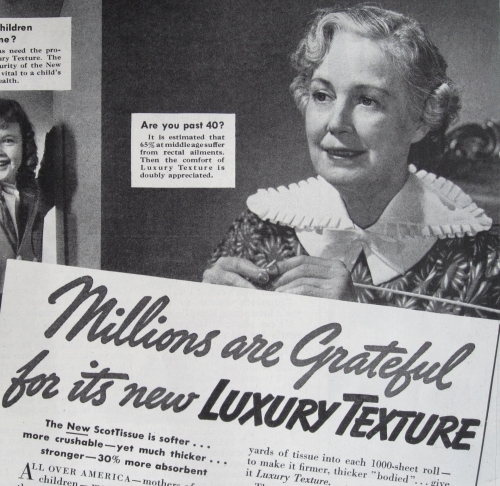 Then the comfort of Luxury Texture is doubly appreciated.” Oh, dear. Time to count my blessings…. 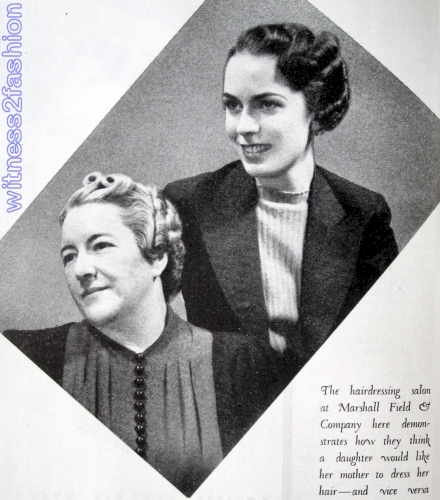 I do like the casual hair style in this ad; you can believe the model did it herself. 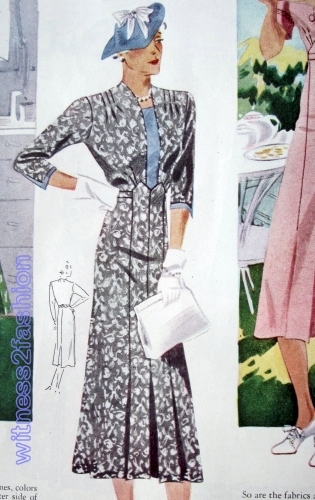 Her crisp collar and print dress are quite chic for a housedress.